Animal Wildlife | Ibis | Ibis are a group of birds that are found all over the world, but more commonly in the more temperate regions of the southern hemisphere. Ibis are most well known for their long necks and beaks which help them to get food out of the water. 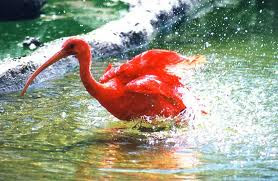 The ibis is found inhabiting areas where there are large amounts of water. The ibis enjoys to eat aquatic animals so it prefers to be in areas such as swamps, marshes and wetlands where food is in abundance. There are roughly 30 different species of ibis found around the world, that vary in size and colour depending on the species. The ibis can vary in size from the tiny 5cm tall dwarf olive ibis to the giant ibis which to grow to more than a meter in height and inhabiting the remote forests of Cambodia and parts southern Laos. Ibis are generally very sociable birds that gather together in large flocks both to feed and to find a partner during the mating season. 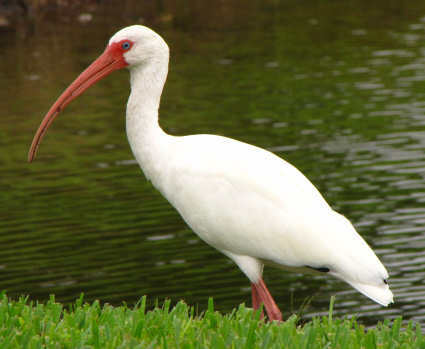 Despite their relatively large size, many species of ibis rest in the safety of the trees and not on the ground. Although the ibis is an omnivorous bird that eats both plants and animals, when there are plenty of aquatic species about, the ibis has more carnivorous diet. The ibis hunts fish, insects, small reptiles, frogs, small mammals and crabs,which the ibis picks out of the mud using it's long and pointed beak. 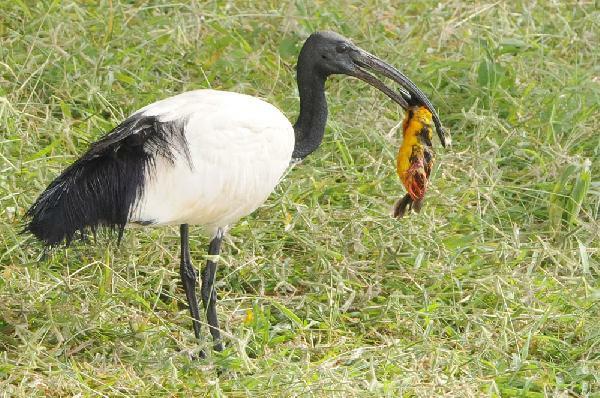 Due to the relatively large size of the ibis, it has few natural predators besides large birds of prey that often steal the eggs of the ibis, or the young. Snakes are known to eat the ibis around the world, along with wild cats and foxes. During the mating season, the female ibis builds a nest in the trees that is made out of sticks and reeds. 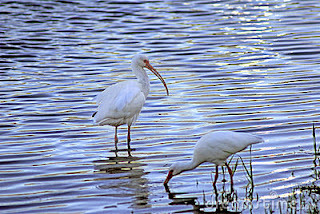 Ibis commonly nest close to a large amount of water such as a river or a lake, with other water-birds such as herons. The female ibis lays up to the 3 eggs which hatch after an incubation period of just a few weeks. The tiny ibis chicks are dependent on their mother for food, and develop quickly meaning that they leave the nest when they are about 6 weeks old.